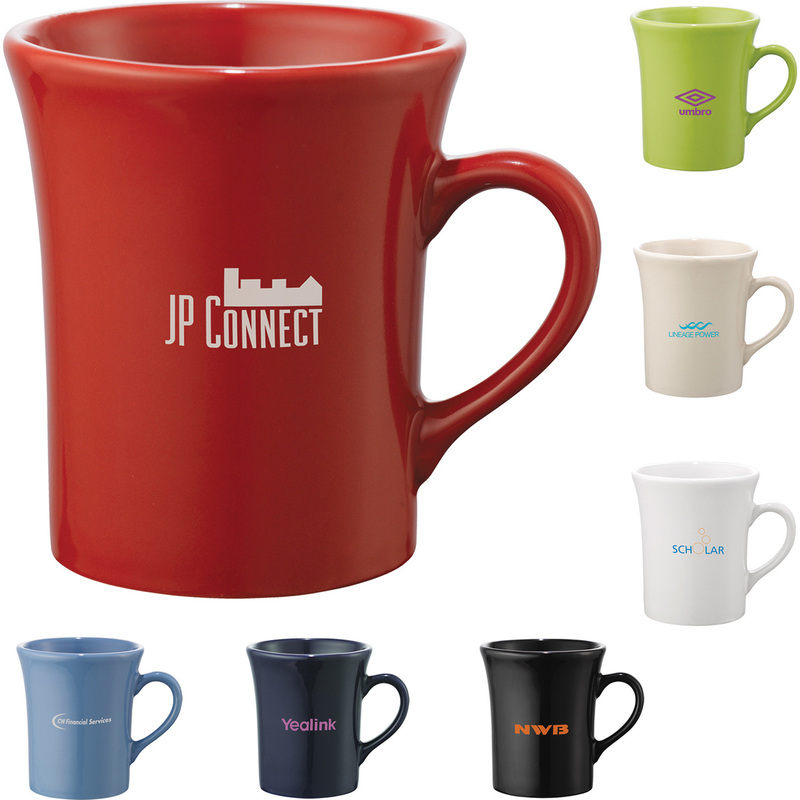 Tapered design mug. See General Information page for special ceramic item handling charge. Hand wash only. Follow any included care guidelines. 4.25" H x 3.75" D, 14 oz.